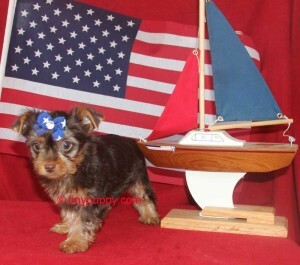 This Yorkshire Terrier Puppy is as sweet as Chocolate. 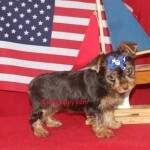 Lady Godiva is a special Dark Chocolate teacup Yorkie. Her parents both have the Chocolate bloodlines. She is our little Diva Girl. Her eyes just talk to you. Pretty as can be and ready now to come be your forever baby. 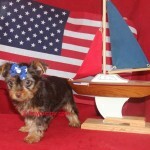 Diva will be large enough to breed and she will have full registration papers. Estimated to be in the 5 lb range. We fly with our puppies to deliver them. From our hands to your.